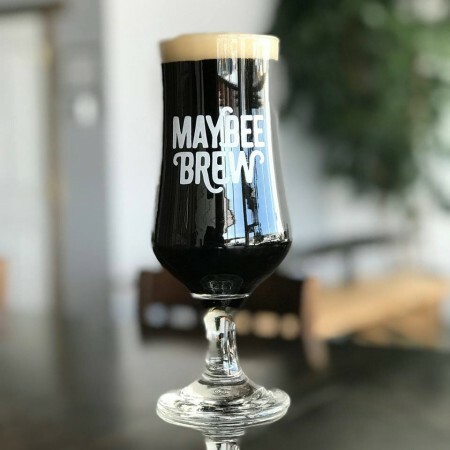 FREDERICTON, NB – Maybee Brew Co. has announced the release of a new beer brewed by the female staff of the brewery in collaboration with several other women. Dark brown with a tan head. Aroma of chai spice blend, earth, nutmeg and cinnamon quite prevalent, along with some vanilla in the background. Flavour is quite smooth up front. Spices dance on your tongue, some earthiness. Medium light body. Spice lingers, cinnamon, nutmeg, allspice, turmeric. Faint vanilla notes on the finish. Moderate level of creaminess. The spice level helps with drying out the finish, asking you to take another sip. Chai Carumba! was launched last Friday March 8th for International Women’s Day, and is available on tap at Maybee in Fredericton, Big Tide in Saint John, and other select bars in New Brunswick.